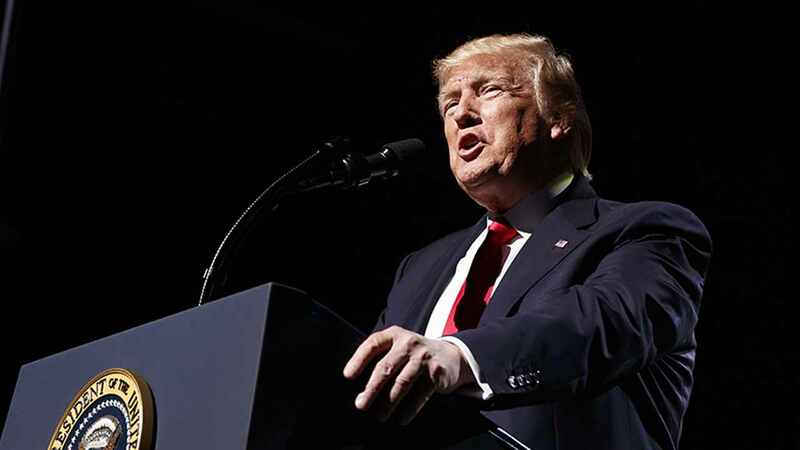 WASHINGTON -- President Donald Trump says a thorough investigation will confirm what he says is already known: that there was no collusion between his presidential campaign and any foreign entity. Trump commented late Wednesday after the Justice Department announced the appointment of former FBI director Robert Mueller to oversee the probe into Trump-Russian connection in the 2016 election. Trump says In a written statement that he looks forward to "this matter concluding quickly." He also pledges to never stop fighting for the people and issues that are important to the country's future. Trump last week fired James Comey from his post as FBI director, explaining that it was partly because of the Russia investigation. "As I have stated many times, a thorough investigation will confirm what we already know - there was no collusion between my campaign and any foreign entity. I look forward to this matter concluding quickly. In the meantime, I will never stop fighting for the people and the issues that matter most to the future of our country."